Ka Plah! My name is Razak, member of the Klingon High Council. We have allied ourselves with the Colonial Marine Strike Force, and the United Federation of Planets to combat a common enemy who is without honor. The ZERG! As member of the Klingon High Council and as an Officer of the Federation, I hold a dual role. I am subject to the authority of Fleet Admiral Riker, however all Klingon warriors fall under my authority! Don't make me prove it to you in battle! It is our intention to rid the galaxy of this threat, once and for all for the Honor and Glory of the Klingon Empire! For those of you interested in joining in this battle for honor and glory, I suggest you see Fleet Admiral Riker for information. He is the leader of Federation and allied Races. He is not a half bad warrior as far as Vulcan/ Humans go. But as you know, humans smell funny. The Flagship for my Fleet is called the USS Strider. Its a Klingon Heavy War Cruiser. My fleet is made up of 3 Heavy War Cruisers and a number of smaller Attack Cruisers. I am currently Searching for a First Officer for my flag ship, as well as Captains for my other Cruisers. If you are interested in this position, prove yourself in Battle to me! See The Klingon Battle Roster below. As a Klingon Warrior, It will be your duty and responsibility to become familiar with our Weapons, and our Area of Battle. 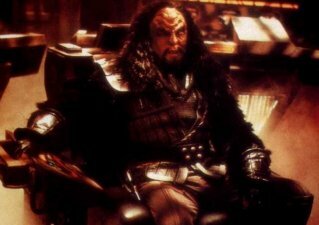 It is also vital you understand the Klingon Ranks, as well as the Ranks, and weapons of our allies. See your data pad below for a listing of the Ranks of the Empire, as well as how they compare to Starfleet.